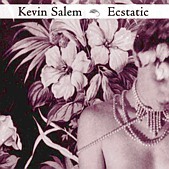 Kevin Salem's Ecstatic is a warm, well-rounded pop record. Bouncing around between country-rooted blues to full-blown rock, Salem's ability to craft Americana with drive is centered around his knack for subtle pop hooks, sweet enough to bite into, and hard enough to chew on for awhile. Though some may be quick to write this off as an alt-country record, Salem is much more than that. He is a troubadour, a pop songsmith, and a man with an appetite to rock. All sides he shows on Ecstatic, one of the year's most schizophrenic, yet cohesive albums, a hard combination to pull off.